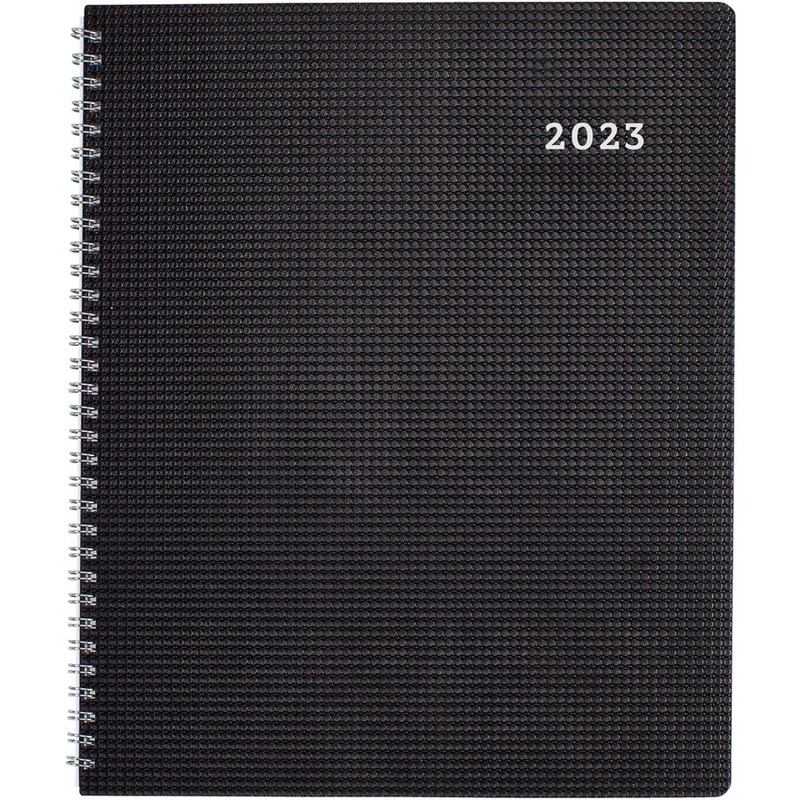 Monthly planner offers ample planning space and textured, heavy-duty poly cover to protect your important schedule and notes. Dated planning pages range 14 months from December to January. 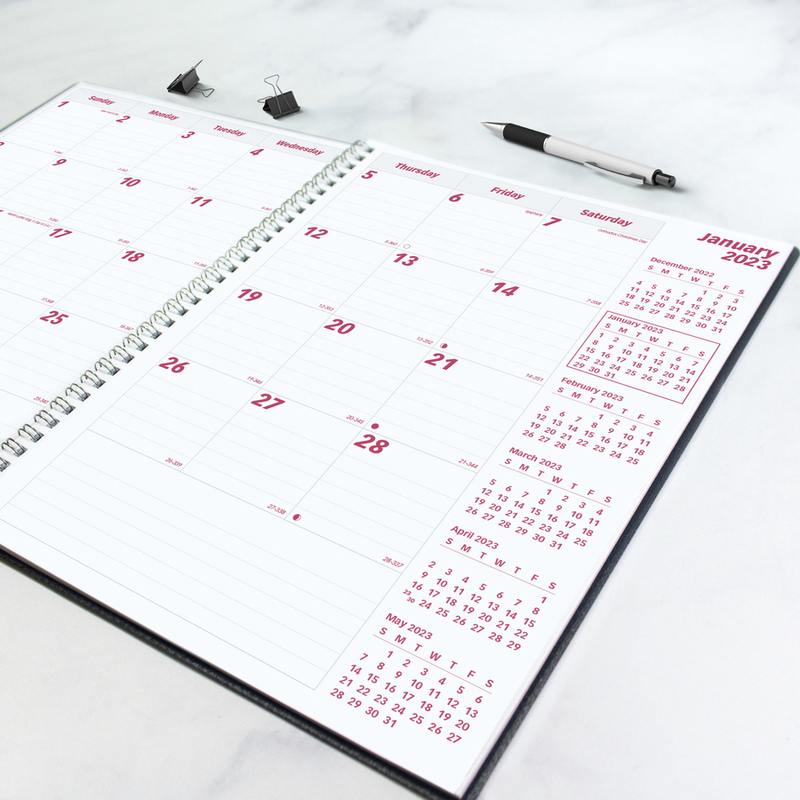 Two-page-per-month spreads include unruled daily blocks, Sunday-through-Saturday scheduling, moon phases, holidays, notes area, and past, current and four future months reference. The current reference month is boxed for easy identification. 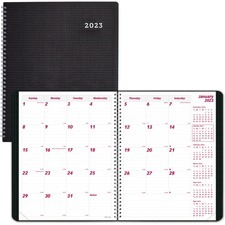 Nonrefillable planner also features a telephone/address section and twin-wire binding.